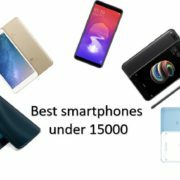 When there are a number of leaks and speculations, about the latest OnePlus 6, the company has confirmed a number of important specifications about the latest beast. A few of the confirmed specifications are really great, while there are only a few, which hardly make any sense. For the OnePlus lovers out there, another great news is that OnePlus 6 will probably be released before the usual launch every year, which is, in the month of June. Without further delay, let’s have a look at some confirmed specs of the OnePlus 6. There has been a lot of speculations about the notch, on the OnePlus 6. Yes, that was a precise speculation, and the OnePlus 6 will come with a notch, though smaller than the one, present in the highly glorified iPhone X. The OnePlus 6 will feature of the notch of just 19.6x16x7.687 mm. According to the company, the OnePlus 6 will not come with any kind of face unlock type of feature, and that is the reason behind the presence of a smaller notch. The notch will only house only the front camera, the proximity sensor, and the earpiece. Ever since the iPhone X came with a notch, all the flagships and mid-range smartphone manufacturers are trying to introduce the same thing, and I don’t know why, they are adding the notch in their smartphones, without any proper reason behind it! 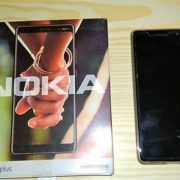 Well, having a notch, makes the phone look more appealing, and brings a premium look, but why not something new! The basic things, the OnePlus 6 notch will hold, could have been accommodated in a different fashion, and I am sure, OnePlus would have got credits for introducing something new, instead of the notch, which don’t make too much sense in the latest OnePlus 6. Just like the previous editions of OnePlus, the One Plus 6 will also come with the latest Snapdragon 845 SoC, which really makes sense, and will make One Plus 6, yet another budget flagship. It was a leak that OnepPlus 6 will come with Snapdragon 845, and now it is confirmed. Though, most people speculated this with confidence, long ago. 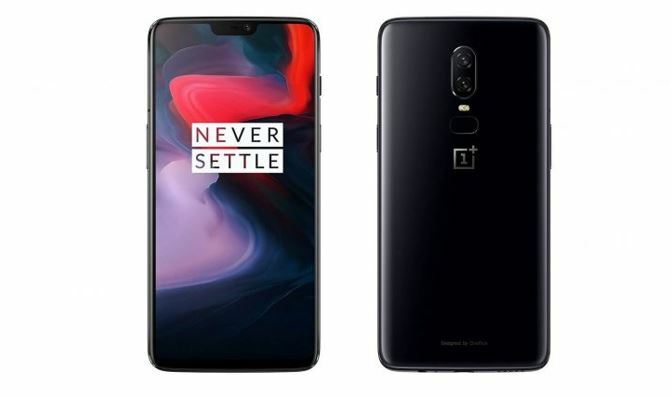 Along with the latest Snapdragon 845, the OnePlus 6 will come with two variants, the 6 GB and the 8 GB RAM variants to fulfill the appetite of different kinds of users. There isn’t any variant with more than 8 GB RAM, as people will hardly need more than that, at least in the upcoming years, which pretty much will make OnePlus 6, a future-ready device. Another great approval for the music lovers is that, unlike other flagships, One Plus 6 will not ditch the highly loved and most favorite 3.5 mm earphone jack, and thus, if you made up your mind to go for a Bluetooth earphone or a type C earphone, you can drop those ideas for now. Another confirmation, which I don’t know, how helpful will it be, is the introduction of Android gestures, with the plan to remove the software keys on the One Plus 6. If you are using any beta version of OnePlus, you can get access to the gestures now, if you want to know, how well they actually perform. If OnePlus could optimize the gestures, OnePlus 6 will probably be the killer flagship of 2018. There aren’t any other confirmations about the latest One Plus 6, but it is expected, the budget beast will come with 256 GB storage, keeping in mind, the previous OnePlus 5T, came with 64 GB and 128 GB of storage. OnePlus will surely bring something new, and thus, there is every possibility, OnePlus 6 will come with 256 GB of storage. Though, there should be other storage variants, just like the RAM. As far as the camera is concerned, it is expected that the OnePlus 6 will come with a 16 MP front shooter, with a smaller aperture. On the other hand, the OnePlus 6 might also come with dual primary cameras, 16 MP and 20 MP for a great camera experience. On the other hand, the OnePlus 6 is expected to come with a 3500 mAh battery, little higher than that of OnePlus 5T, and other flagships, coming with 3300 mAh battery. 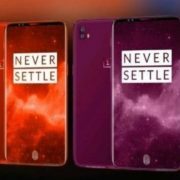 There is every possibility, the unconfirmed specs about the latest OnePlus 6 will be real, as they are no exaggerations like other leaks, which are found all over the internet. I am sure, the OnePlus 6, with the iPhone X like notch, will surely lure the customers, and can be the best seller, if priced reasonably. I also wish One Plus 6 is introduced with an IP67 or better rating, which can be one of the biggest modifications in the OnePlus 6. I am not sure, whether there will be any such rating or certification, but I wish, it is present. If you have more questions about the latest OnePlus 6, do not forget to comment it down below. 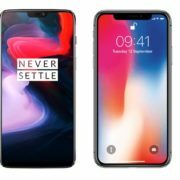 Why Should you go for OnePlus 6 over iPhone X?